*Source: Subterranean Termites by Roger E.Gold, Harry N.Howell, Jr. and Grady J.Glenn, published by the Texas Agricultural Extension Service at The Texas A&M University System. • Ross offers pre-treatments made during the construction of your new home and post-treatments for completed homes. • Treatments are warranted and warranties are transferable should you sell your home. Whether required for the sale of your home or for home-owner confidence, Ross is able to provide a thorough inspection for wood destroying insects including termites, carpenter ants, and beetles. 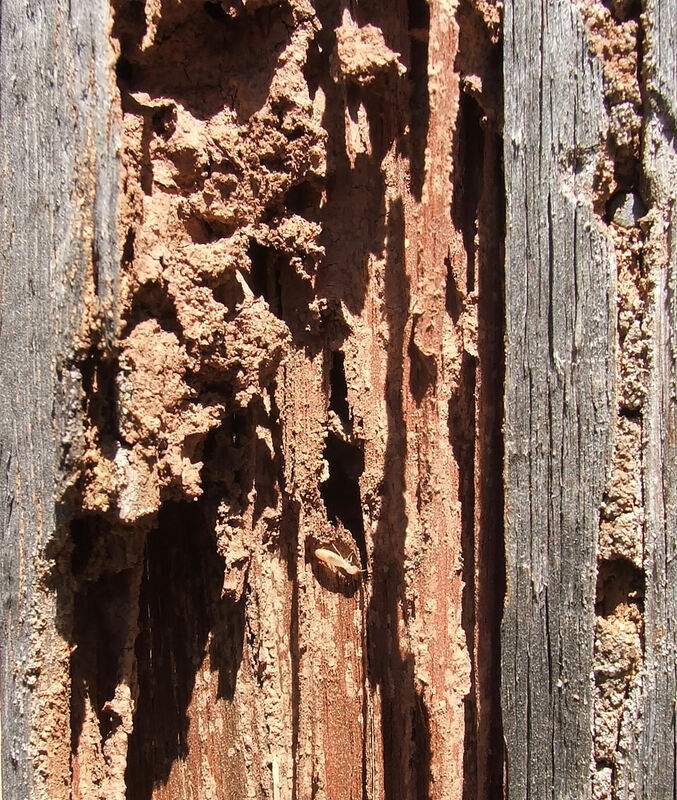 Repairing termite damage costs an average of $10,000 per home in Texas. Termidor® is an advanced undetectable liquid technology. That means termites cannot see, smell, taste, or avoid it. Instead, they contact, ingest and share Termidor®, completely unaware that doing so inevitably will kill them. Whenever a termite ingests or touches Termidor®, it can become a “carrier,” transferring Termidor® to other termites it contacts. These termites, in turn, can become secondary carriers, behaving normally while they transfer Termidor® to other termites they contact—and so on within the colony. Because Termidor® is slow-acting, it gives individual termites ample time to transfer it to others in the population. This unique, spiraling process is called the “Transfer Effect,” and its devastating results maximize the protection of your structure. Ross is an authorized applicator of Termidor®.